A common question of law as to the maintainability of an appeal before this Court against a final decision and/or order of the Armed Forces Tribunal arises for consideration in these two appeals that purport to have been filed under Section 30 of the Armed Forces Tribunal Act, 2007. (1) Subject to the provisions of Section 31, an appeal shall lie to the Supreme Court against the final decision or order of the Tribunal (other than an order passed under Section 19): Provided that such appeal is preferred within a period of ninety days of the said decision or order: Provided further that there shall be no appeal against an interlocutory order of the Tribunal. (2) An appeal shall lie to the Supreme Court as of right from any order or decision of the Tribunal in the exercise of its jurisdiction to punish for contempt: Provided that an appeal under this sub-section shall be filed in the Supreme Court within sixty days from the date of the order appealed against. (b) if the appellant is in confinement, he be released on bail: Provided that where an appellant satisfies the Tribunal that he intends to prefer an appeal, the Tribunal may also exercise any of the powers conferred under clause (a) or clause (b), as the case may be. (1) An appeal to the Supreme Court shall lie with the leave of the Tribunal; and such leave shall not be granted unless it is certified by the Tribunal that a point of law of general public importance is involved in the decision, or it appears to the Supreme Court that the point is one which ought to be considered by that Court. (3) An appeal shall be treated as pending until any application for leave to appeal is disposed of and if leave to appeal is granted, until the appeal is disposed of; and an application for leave to appeal shall be treated as disposed of at the expiration of the time within which it might have been made, but it is not made within that time." 3. A plain reading of Section 30 would show that the same starts with the expression "subject to the provision of Section 31". Given their ordinary meaning there is no gainsaying that an appeal shall lie to this Court only in accordance with the provisions of Section 31. It is also evident from a plain reading of sub-section (2) of Section 30 (supra) that unlike other final orders and decisions of the Tribunal, those passed in exercise of the Tribunal's jurisdiction to punish for contempt are appealable as of right. The Parliament has made a clear distinction between cases where an appeal lies as a matter of right and others where it lies subject to the provisions of Section 31. We are not, in the present case, dealing with an appeal filed under Section 30 sub-section (2) of the Act, for the Tribunal has not passed the orders under challenge in exercise of its jurisdiction to punish for contempt. The orders passed by the Tribunal and assailed in these appeals are orders that will be appealable under Section 30(1) but only subject to the provisions of Section 31. 4. Section 31 of the Act extracted above specifically provides for an appeal to the Supreme Court but stipulates two distinct routes for such an appeal. The first route to this Court is sanctioned by the Tribunal granting leave to file such an appeal. Section 31(1) in no uncertain terms forbids grant of leave to appeal to this Court unless the Tribunal certifies that a point of law of general public importance is involved in the decision. This implies that Section 31 does not create a vested, indefeasible or absolute right of filing an appeal to this Court against a final order or decision of the Tribunal to this Court. Such an appeal must be preceded by the leave of the Tribunal and such leave must in turn be preceded by a certificate by the Tribunal that a point of law of general public importance is involved in the appeal. 5. The second and the only other route to access this Court is also found in Section 31(1) itself. The expression "or it appears to the Supreme Court that the point is one which ought to be considered by that Court" empowers this Court to permit the filing of an appeal against any such final decision or order of the Tribunal. 6. A conjoint reading of Sections 30 and 31 can lead to only one conclusion viz. there is no vested right of appeal against a final order or decision of the Tribunal to this Court other than those falling under Section 30(2) of the Act. The only mode to bring up the matter to this Court in appeal is either by way of certificate obtained from the Tribunal that decided the matter or by obtaining leave of this Court under Section 31 for filing an appeal depending upon whether this Court considers the point involved in the case to be one that ought to be considered by this Court. 7. An incidental question that arises is whether an application for permission to file an appeal under Section 31 can be moved directly before the Supreme Court without first approaching the Tribunal for a certificate in terms of the first part of Section 31(1) of the Act. In the ordinary course the aggrieved party could perhaps adopt one of the two routes to bring up the matter to this Court but that does not appear to be the legislative intent evident from Section 31(2) (supra). A careful reading of the section shows that it not only stipulates the period for making an application to the Tribunal for grant of leave to appeal to this Court but also stipulates the period for making an application to this Court for leave of this Court to file an appeal against the said order sought to be challenged. It is significant that the period stipulated for filing application to this Court starts running from the date beginning from the date the application made to the Tribunal for grant of certificate is refused by the Tribunal. This implies that the aggrieved party cannot approach this Court directly for grant of leave to file an appeal under Section 31(1) read with Section 31(2) of the Act. The scheme of Section 31 being that an application for grant of a certificate must first be moved before the Tribunal, before the aggrieved party can approach this Court for the grant of leave to file an appeal. The purpose underlying the provision appears to be that if the Tribunal itself grants a certificate of fitness for filing an appeal, it would be unnecessary for the aggrieved party to approach this Court for a leave to file such an appeal. An appeal by certificate would then be maintainable as a matter of right in view of Section 30 which uses the expression "an appeal shall lie to the Supreme Court". That appears to us to be the true legal position on a plain reading of the provisions of Sections 30 and 31. 8. 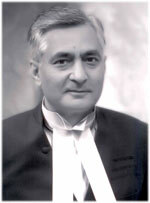 Mr. Vivek Tankha, Additional Solicitor General, however, contended that Section 30 granted an independent right to file an appeal against the final decision or order of the Tribunal and that Section 31 was only providing an additional mode for approaching this Court with the leave of the Tribunal. We regret to say that we have not been able to appreciate that argument. If Section 30 of the Act confers a vested right of appeal upon any person aggrieved of a final decision or order of the Tribunal and if such appeal can be filed before this Court without much ado, there is no reason why the Act would provide for an appeal being filed on the basis of a certificate issued by the Tribunal nor would it make any sense for a party to seek leave of this Court to prefer an appeal where such an appeal was otherwise maintainable as a matter of right. The interpretation suggested by Mr. Tankha shall, therefore, have the effect of not only re- writing Section 30 which specifically uses the words "subject to the provisions of Section 31" but would make Section 31 wholly redundant and meaningless. The expression "subject to the provisions of Section 31" cannot be rendered a surplusage for one of the salutary rules of interpretation is that the legislature does not waste words. Each word used in the enactment must be allowed to play its role howsoever significant or insignificant the same may be in achieving the legislative intent and promoting legislative object. Although it is unnecessary to refer to any decisions on the subject, we may briefly re-count some of the pronouncements of this Court in which the expression "subject to" has been interpreted. "It is also significant to note the proviso to art. 309, clearly lays down that 'any rules so made shall have effect, subject to the provisions of any such Act'. The clear and unambiguous expression, used in the Constitution, must be given their full and unrestricted meaning, unless hedged-in, by any limitations. The rules, which have to be 'subject to the provisions of the Constitution', shall have effect, 'subject to the provisions of any such Act'. That is, if the appropriate Legislature has passed an Act, under Art. 309, the rules, framed under the Proviso, will have effect, subject to that Act; but, in the absence of any Act, of the appropriate Legislature, on the matter, in our opinion, the rules, made by the President, or by such person as he may direct, are to have full effect, both prospectively and, retrospectively." 10. In Chandavarkar S.R. Rao v. Ashalata S. Guram (1986) 4 SCC 447, this Court declared that the words "notwithstanding" is in contradistinction to the phrase 'subject to' the latter conveying the idea of a provision yielding place to another provision or other provisions to which it is made subject. 11. There is in the light of the above decisions no gainsaying that Section 30 of the Act is by reason of the use of the words "subject to the provisions of Section 31" made subordinate to the provisions of Section 31. The question whether an appeal would lie and if so in what circumstances cannot, therefore, be answered without looking into Section 31 and giving it primacy over the provisions of Section 30. That is precisely the object which the expression "subject to the provisions of Section 31" appearing in Section 30(1) intends to achieve. We have, therefore, no hesitation in rejecting the submission of Mr. Tankha that the expression "subject to the provisions of Section 31" are either ornamental or inconsequential nor do we have any hesitation in holding that right of appeal under Section 30 can be exercised only in the manner and to the extent it is provided for in Section 31 to which the said right is made subject. (1) Notwithstanding anything contained in any other law for the time being in force, an appeal shall lie to the Supreme Court on any question (whether of law or fact) from every order made by a High Court under Section 98 or Section 99." "23. Appeal - Any person, aggrieved by an order made by the National Consumer in exercise of its powers by sub-clause (i) of clause (a) of Section 21, may prefer an appeal against such order to the Supreme Court within a period of thirty days from the date of the order." 14. Even the Terrorists Affected Areas (Special Courts) Act, 1984 providing for an appeal to the Supreme Court under Section 14, starts with a non obstante clause and creates an indefeasible right of appeal against any judgment, sentence or order passed by such Court both on facts and law. Similar was the case with Terrorist and Disruptive Activities (Prevention) Act, 1987 which provided an appeal to the Supreme Court against any judgment, sentence or order not being an interlocutory order of a Designated Court both on facts and law. Section 55 of the Monopolies and Restrictive Trade Practices Act, 1969 also provided an appeal to this Court on one of the grounds specified in Section 100 of the Code of Civil Procedure, 1908. The Advocates Act, 1961, The Customs Act, 1962 and the Central Excise Act, 1944 provide that an appeal shall lie to this Court using words different from those that have been used in Sections 30 and 31 of the Armed Forces Tribunal Act. "Every clause of a statute is to be construed with reference to the context and other provisions of the Act to make a consistent and harmonious meaning of the statute relating to the subject-matter. The interpretation of the words will be by looking at the context, the collocation of the words and the object of the words relating to the mattes." "It is an elementary rule of construction that no provision of a statute should be construed in isolation but it should be construed with reference to the context and in the light of other provisions of the Statute so as, as far as possible, to make a consistent enactment of the whole staute..."
17. Mr. Tankha, Additional Solicitor General and Ms. Rachana Joshi Issar, counsel appearing for the appellants in the connected matters lastly argued that there may be circumstances in which urgent orders may be required to be issued in which event an application for grant of certificate before the Tribunal may prevent the aggrieved party from seeking such orders from this Court. The answer to that question lies in Section 31(3) according to which an appeal is presumed to be pending until an application for leave to appeal is disposed of and if the leave is granted until the appeal is disposed of. An application for leave to appeal is deemed to have been disposed of at the expiration of the time within which it may have been made but is not made within that time. That apart an application for grant of certificate before the Tribunal can be made even orally and in case the Tribunal is not inclined to grant the certificate prayed for, the request can be rejected straightaway in which event the aggrieved party can approach this Court for grant of leave to file an appeal under the second part of Section 31(1). Once such an application is filed, the appeal is treated as pending till such time the same is disposed of. 18. In the result these appeals are dismissed reserving liberty to the appellants to take recourse to Section 31 of the Act. To effectuate that remedy we direct that the period of limitation for making an application for leave to appeal to this Court by certificate shall start from the date of this order. We make it clear that we have not heard learned counsel for the parties on merits of the controversy nor have we expressed any opinion on any one of the contentions that may be available to them in law or on facts. No costs. The arbitration proceeding are governed by the agreement signed between the parties to the agreement and the Indian Courts have a very limited role in the arbitration proceedings. This implies that Section 31 does not create a vested, indefeasible or absolute right of filing an appeal to this Court against a final order or decision of the Tribunal to this Court. Such an appeal must be preceded by the leave of the Tribunal and such leave must in turn be preceded by a certificate by the Tribunal that a point of law of general public importance is involved in the appeal.Tribunaafter reading through some of the post I realized it’s new to me. Anyways, I’m definitely delighted I found it and I’ll be book-marking and checking back often! Mr. Tankha, Additional Solicitor General and Ms. Rachana Joshi Issar, counsel appearing for the appellants in the connected matters lastly argued that there may be circumstances in which urgent orders may be required to be issued in which event an application for grant of certificate before the Tribunal may prevent the aggrieved party from seeking such orders from this Court. Armed Forces TribunalI hope it reaches your targetted audience. The second and the only other route to access this Court is also found in Section 31(1) itself. The expression "or it appears to the Supreme Court that the point is one which ought to be considered by that Court" empowers this Court to permit the filing of an appeal against any such final decision or order of the Tribunal. aggrieved party thanks for information .